Here are some of the great books I’m looking forward to coming in February from HarperCollins New Zealand. Sometimes friendship and loyalty can be dangerous things – especially when fireworks are involved. Inseparable Aussie friends dare-devil Dean and tag-along Pelly often get up to no good. That’s what makes them the Steel Pelicans. But as Dean’s homemade fireworks get increasingly dangerous, things start going wrong, and Pelly’s parents hasten a move back to New Zealand. After living most of his life in Australia, Pelly feels like he’s been dumped in a foreign land with no friends and a school that doesn’t care, until he joins up with Afi Moore and is invited to stay the weekend at the Moores’ seaside bach. Then the pair stumble on a smuggling operation and find themselves deep in trouble, which only gets worse when Dean comes over for the holidays. In no time at all, Dean’s obsession with explosives threatens not only the investigation but also their lives. Des Hunt is one of my favourite New Zealand authors. He writes adventure/mystery stories set in New Zealand and they usually have an ecological message. If you live in NZ and haven’t read any of Des Hunt’s books you should remedy this immediately. They’re especially good for boys around age 9+. Instead, Ivan thinks about TV shows he’s seen, and his friends Stella, an elderly elephant, and Bob, a stray dog. But mostly Ivan thinks about art and how to capture the taste of a mango or the sound of leaves with colour and a well-placed line. Then he meets Ruby, a baby elephant taken from her family, and she makes Ivan see their home-and his own art-through new eyes. When Ruby arrives, change comes with her, and it’s up to Ivan to make it a change for the better. Katherine Applegate blends humour and poignancy to create Ivan’s unforgettable first person narration in a story of friendship, art, and hope. I’ve heard so many good things about this book and I just know that it’s going to be one of those stories that gets right under my skin. An eco-friendly edition of one of my favourite Dr. Seuss stories, printed on 100% recycled paper. The Lorax movie, starring Danny Devito (as The Lorax) is coming soon so this is a lovely edition to bring the story to a new generation. Old enemies awaken as Camp Half-Blood’s new arrivals prepare for war. 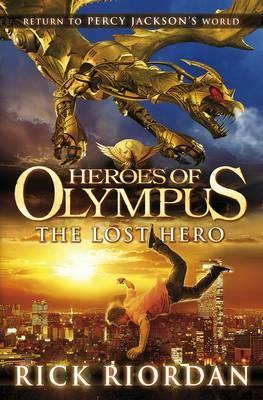 When Jason, Piper and Leo crash land at Camp Half-Blood, they have no idea what to expect. Apparently this is the only safe place for children of the Greek Gods – despite the monsters roaming the woods and demigods practising archery with flaming arrows and explosives. But rumours of a terrible curse – and a missing hero – are flying around camp. It seems Jason, Piper and Leo are the chosen ones to embark on a terrifying new quest, which they must complete by the winter solstice. In just four days time. Can the trio succeed on this deadly mission – and what must they sacrifice in order to survive? Liam O’Connor should have died at sea in 1912. Maddy Carter should have died on a plane in 2010. Sal Vikram should have died in a fire in 2026. But all three have been given a second chance – to work for an agency that no one knows exists. Its purpose: to prevent time travel destroying history …Project Exodus – a mission to transport 300 Americans from 2070 to 54AD to overthrow the Roman Empire – has gone catastrophically wrong. Half have arrived seventeen years earlier, during the reign of Caligula. 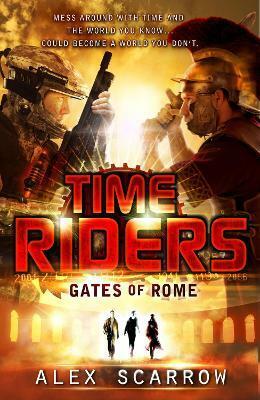 Liam goes to investigate, but when Maddy and Sal attempt to flee a kill-squad sent to hunt down their field office, all of the TimeRiders become trapped in the Roman past. Armed with knowledge of the future, Caligula is now more powerful than ever. But with the office unmanned – and under threat – how will the TimeRiders make it back to 2001 and put history right? This is book five in the bestselling TimeRiders series by Alex Scarrow. Ancient Rome gets a time-travel makeover! Everybody knows Cate Cahill and her sisters are eccentric. Too pretty, too reclusive, and far too educated for their own good. But the truth is even worse: they’re witches. And if their secret is discovered by the priests of the Brotherhood, it would mean an asylum, a prison ship – or an early grave. Before her mother died, Cate promised to protect her sisters. But with only six months left to choose between marriage and the Sisterhood, she might not be able to keep her word . 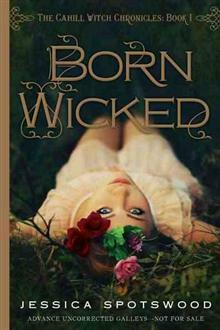 . . especially after she finds her mother’s diary, uncovering a secret that could spell her family’s destruction. Desperate to find alternatives to their fate, Cate starts scouring banned books and questioning rebellious new friends, all while juggling tea parties, shocking marriage proposals, and a forbidden romance with the completely unsuitable Finn Belastra. If what her mother wrote is true, the Cahill girls aren’t safe. Not from the Brotherhood, the Sisterhood – not even from each other. Look out for these great books in libraries and book stores in February.